This was a fun Pinterest-inspired project! The pictures turned out so well and they now decorate my house for fall! 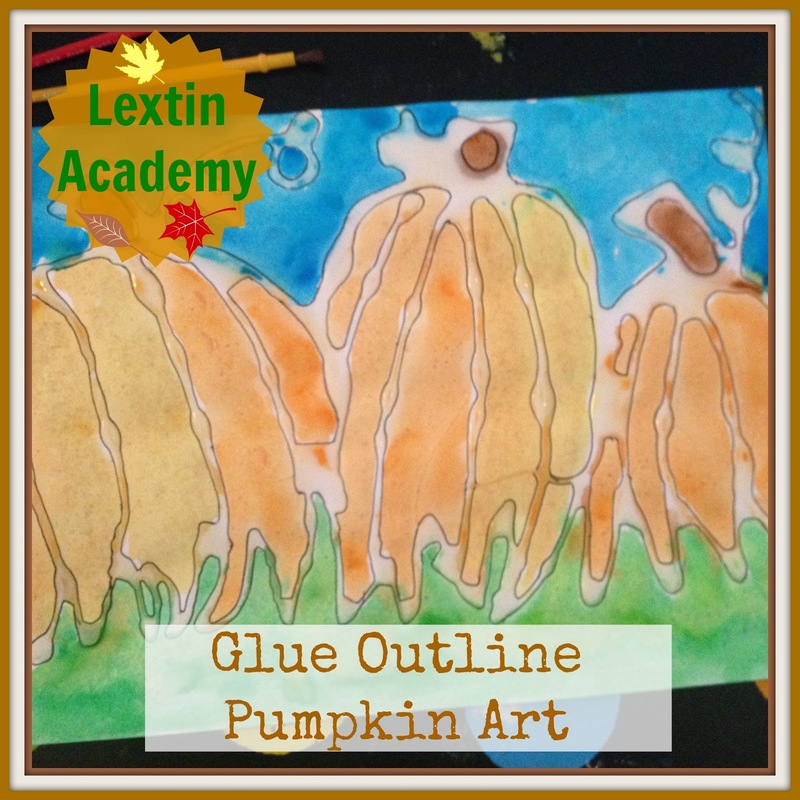 First, draw your pumpkin and grass outlines with the glue. Let for a day or two (depending on how thick the outline is). Then trace the edge of the glue outline with the fine point permanent marker. Then you are ready to paint with water color. The glue outline acts as a barrier to keep the paint inside your lines and the permanent marker makes the glue outline visible (and doesn’t bleed when you paint). I love our pictures! I love these! We'll have to do these next fall.